Starting out with bedroom Bandcamp demos at age 15 under the name *Clembutt*, Clementine Creevy was soon picked up by Burger Records and Cherry Glazerr was born. Now, the band has become the honest and sometimes charmingly messy punk project it is today—one that’s led Creevy to write commissioned music for Yves Saint Laurent and to be featured in a biographical documentary by VICE. Cherry Glazerr manages to create a perfect mix of lighthearted wit, bubbly guitar riffs and tough drum beats, backing it with a versatile vocal range that usually tends toward a shriek. 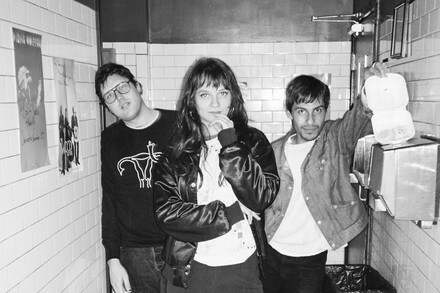 Without taking themselves too seriously, Cherry Glazerr will make sure you keep dancing.